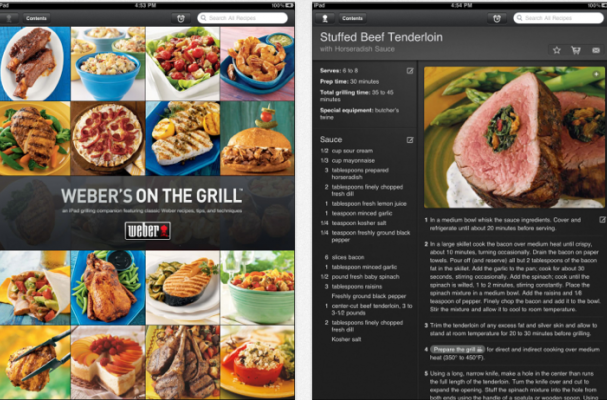 The Weber's on the Grill app is full of tons of recipes and tips that will prepare your for summertime cooking. The app contains over 320 recipes for rubs, marinades, steak, chicken, vegetables and more. In addition you make recipes notes and share your favorites with friends and family. If you are the type of cook who fires up the grill for every meal, this app is a must-have. There are absolutely a bunch of information like that to consider. That's a excellent show bring up. I supply the ideas above as basic motivation but simply there are questions like the one you raise where the most critical point will certainly be working in genuine good faith. I ensure that your job is plainly figured out as a level playing field.